If you are looking for a pharmacy that is dedicated to giving its customers personalized care and exceptional service, then Med Smart Pharmacy is the choice for you! As a true service oriented pharmacy, we truly put serving the customer first. While we have all the benefits of a chain pharmacy, we offer the flexible and personal approach of the old time neighborhood pharmacy. It is more than just filling prescriptions, it is a place that offers complete solutions to all your medical needs. 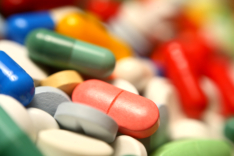 Did you know that long term use of certain medications causes depletion of vital nutrients and vitamins? Visit our pharmacy to find out what supplements could help your condition. Or, you can call us at 904-800-1888 or 904-800-1889 for inquiries.